Uncover the facts behind some of the most shocking murder cases in recent history. 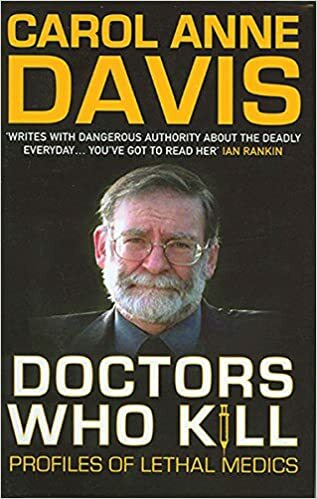 From Beverley Allitt, the attention seeking nurse who preyed on the children in her care, to the infamous Dr. Harold Shipman, who was responsible for the deaths of at least 218 of his patients, history has been littered with examples of healers who have done anything but. At their best they cure disease, look after the sick, and are sworn to вЂ�do no harmвЂ™, so what leads a small minority of healthcare workers to a life of violent crime? In a comprehensive study of violent crimes perpetrated by health care professionals, Carol Anne Davis offers valuable insights into 34 case studies involving doctors and nurses who have crossed the line from healer to killer. These in depth analyses include interviews with experts in the fields of mental health and criminology, as well as an exclusive interview with Katherine Ramsland, a lecturer in forensic psychology at DeSales University, Pennsylvania.